Once again, Melanie Dickerson has delivered and engaging and unique perspective on a classic fairy tale. This time around, Ariel from The Little Mermaid gets a remodel in Dickerson’s The Silent Songbird. 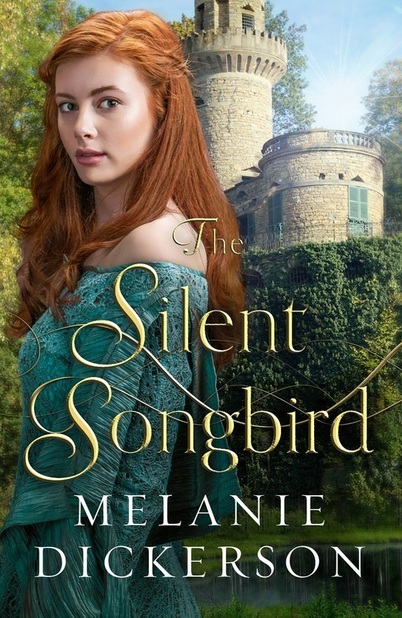 When Evangeline’s cousin, the King of England, informs her that she will marry his closest advisor (a man twice her age whom she believes is hiding an evil streak from everyone), she does the only thing she can. She runs. Disguising herself as a mute peasant girl named Eva, she and her companion travel to the village of Glynval with a small group of servants. Their leader, Westley le Wise (anyone else notice the nod to The Princess Bride here?) is both handsome and kind, but Evangeline realizes the secret she carries will end any hope of attachment between them before it can ever begin. Something sinister is occurring in Glynval which puts Westley’s life in danger. Will Eva reveal her secret to save a man she admires? And if she does, will her send her back when he learns of the lies? There’s a lot happening in this book (as with most of the Hagenheim series) but it all culminates in a satisfying way. I laughed at some of the escapades as Eva learns to do the servant’s work, grew agitated at the way another person treated Eva, longed for her and Westley to see what is right in front of them, and my heart pounded along with Eva’s when Westley’s life is in danger. Dickerson is a fan-favorite of these types of books and with the attention to detail and the riveting storylines, there’s no question why that is.